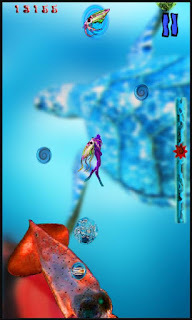 Aqua Jumper by Dark Matter Development is a visually pleasing game for Android that offers the classic jumper style gameplay in a deep sea package. 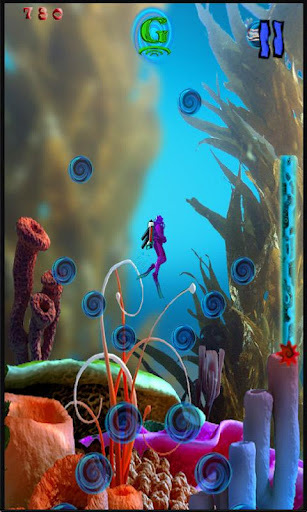 Players control a diver on an unknown planet and with the goal of escaping the depths of a perilous ocean. By tilting the phone, players can control the diver's movement. Hit ocean vortex bubbles for propulsion, grab power ups, and avoid any predators along the way! You get all of that and more for the low low price of a buck ninety-nine (aka $1.99 USD)! That's hours of fun for the cost of a Red Bull. Maybe you should get both? Definitely!